Sheri Crider is a visual artist and creator of the Sanitary Tortilla Factory. Crider sees great possibility in discarded materials, unused spaces, and missed opportunities that might inspire her practice. The original premise in 2008 was to support regional artists by providing exhibition space at no charge. Since that time we have presented over two hundred exhibitions in Wells Park as SCA Contemporary. In 2016 we moved to the historic M & J’s Sanitary Tortilla Factory. The space was a beloved restaurant for over 30 years, feeding and supporting the community through frequent exhibitions of local artists. 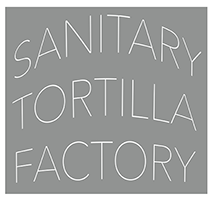 We have retained the name Sanitary Tortilla Factory as its history is iconic in Albuquerque. Both a warm and popular place of gathering, restaurant owners Beatrice and Jake Montoya provided a venue that served to weave the downtown arts community together as it rose to a national level. Ever growing, 2nd street and its surrounding creative spaces retain the vitality of the arts that, today, continues to flourish throughout New Mexico. The current space has fifteen working artist spaces. Artists and arts and social justice platforms operate out of the current space. We additionally maintain an 1100sf exhibition space, and a fabrication space. I think of the space as an experimental first phase of a seven-year plan for the multi-faceted visual arts center. Strategically implemented programming creates iterations of art that hopes to engage and strengthens its community. Our community is vast. It is my hope that our circles are filled with cons, hustlers, academics and hipsters alike. In 2017, we launched the sculpture-based residency program that provided workspace, housing, and a stipend for 4-6 weeks for an artist that engaged the surrounding community. Christine Wong Yap adeptly implemented, Belonging. 2018 STF will host its first social justice residency.